Cell Culture in an important tool for research and development within the life science industry. Over the past few years, 3D Cell Culture has gained momentum within the pharmaceutical industry due to the benefits that this model offers over conventional cell culture methods. 3D cell culture enables cells to grow and interact with their surroundings in all three dimensions, better mimicking the in-vivo conditions in which the cells are naturally present. This enhances the ability for scientists to study basic biological mechanisms such as cell number monitoring, cell viability, proliferation and morphology. 3D cell cultures also have greater stability and longer life spans. Researchers globally are realizing the potential of 3D cell culture for various applications, including testing and discovering new drugs to treat cancer, organ-on-chip models to study the human physiology in an organ specific context, and 3D cell printing to produce organ models. Therefore, this market is likely to grow over the next few years and is in fact projected to reach USD 1.7 Million by 2022, growing at a CAGR of 20.3% between 2017-2022. Growth in this market is also driven by global factors such as a need for alternative methods to animal resting, funding from governments and private entities and technological advancements in the field. Join us in February 2019, as we look at the latest developments in the 3D Cell Culture field. Network with industry experts, gain insight into how the pharmaceutical industry is utilizing 3D Cell Culture technologies to enhance research and development, discuss the potential for novel in-vitro cell culture models to replace animal models, and discover novel 3D cell culture systems, organ-on-chip, 3D imaging of organoids and other technologies in development. Professor Przyborski holds an academic position as Professor in Cell Technology at Durham University. He has over 25 years experience in cell biology with specific interests in cell culture technology, neuroscience and stem cell research. In recent years he has developed a multi-disciplinary approach through collaborative projects with physical scientists to develop novel ways of solving biological problems. He has formed alliances with pharmaceutical and biotech companies, has published over 100 scientific papers and has filed several patents. He is also the founder and Chief Scientific Officer of Reinnervate (now part of ReproCELL Europe), a biotechnology company founded in 2002 as a spinout from Durham University UK. Professor Przyborski is developing new and innovative ways to manage the growth and function of cultured cells. These enabling technologies have multiple applications and will be particularly relevant to building models of human tissues to advance basic research and drug discovery. Wouter Strijker is business developer at Mimetas. Mimetas develops better predictive human tissue and disease models using organ-on-a-chip technology. His core-product, the OrganoPlate®, allows perfused 3D cell culture, membrane free co-culture and culture of tubules and vessels. Mimetas works for nearly all major pharmaceutical companies worldwide on a variety of models for compound screening and toxicity testing. As a business developer, Wouter initiates and manages these collaboration with great enthusiasm. Wouter received a bachelor’s degree in life sciences & technology and a Master in Management, Policy-Analysis and Entrepreneurship in the Life Sciences. Before joining Mimetas, he worked at HollandBIO, the Dutch biotech industry association. Richard holds the chair of Musculoskeletal Science and is co-founder and Director of the Centre for Human Development, Stem Cells and Regeneration at the University of Southampton. He leads the Bone and Joint Research Group, a large multidisciplinary research group focused on developing strategies to repair bone & cartilage and understanding bone development; with translation a key personal driver. To achieve these goals, he has brought together and developed teams of clinicians and life scientists over the last twenty years. In 2014, his group conducted the first 3D titanium-bone stem cell impaction bone graft. Richard serves / has served on a number of Research Council Committees, Industrial committees and international advisory boards and holds a number of visiting professorships. He has published over 285 peer-reviewed papers (H-index 63; >14,000 citations ISI WoS), including breakthrough publications on skeletal stem cells and nanotopography, bone regeneration as well as epigenetics, holds 6 patents and is founder and CSO of Renovos Biologics Limited (www.renovos.co.uk) spun out in 2017. Sally Price is Head of Cell and Translational Science at the Medicines Discovery Catapult (MDC), an Innovate UK backed not-for-profit company supporting the UK SME community to develop better medicines. She is responsible for a team of scientists developing complex cell models that will enable better translation of drugs to the clinic. Sally has significant expertise in applying in vitro models to drug discovery gained from a decade of working in the pharmaceutical industry, leading several global collaborations with academic groups and supporting a number of SMEs. She has particular interests in developing better models for neurodegenerative and kidney diseases. Dr Jackson was awarded a PhD in Neurobiology in 2004 for work studying the role of the cannabinoid system in neurodegeneration related to multiple sclerosis. During postdoctoral positions at the University of Wisconsin – Madison, UCL and QMUL, he developed and employed animal and in vitro models of demyelinating disease to probe therapeutic approaches to remyelination and neuroprotection. Following 3 years at Eli Lilly working on the neurobiology and treatment of Alzheimer’s disease, Dr Jackson left the lab to apply his knowledge of animal and alternative modelling at the NC3Rs. He is currently managing a programme of work to enable the development and uptake of human tissue based models, microphysiological systems and other alternative methods to diverse research areas, including cancer and safety pharmacology. I originally trained as a Medical Biochemist at the University of Birmingham (1986-1989). I worked as a Research Assistant in the Pharmacology and Toxicology Department at Imperial College, London where I received my PhD in the lab of Dr Sharon Hotchkiss. The main theme of the research project was “percutaneous absorption: metabolic and kinetic parameters”. In 1996, I transferred to The University of California, San Francisco, in the Dermatology Department; I spent 18 months there under the guidance of Prof. Howard Maibach. In 1998 I started a permanent position in the Institute of Toxicology at Merck KGaA in Germany, where I established the Molecular Toxicology Group. I am currently responsible for early cytotoxicity screening, hepatotoxicity methods, biomarker monitoring, CYP induction studies, genotoxicity testing and cytokine screening. I work with several PhD students, on external collaborative projects and I am team representative on several internal pharmaceutical projects. What is a CRACK-IT challenge? 14:30 PANEL DISCUSSION: Will 3D Cell Culture replace animal models? Where are we now; and where do we need to go? Is the technology advanced enough to fully replace animal models? I head the Complex In Vitro Models group in the R&D Platform Technology & Sciences organization at GlaxoSmithKline. I lead an integrated enterprise strategy for sustained, portfolio driven growth in R&D applications of human-relevant and translatable complex in vitro models (eg Spheroids, Organoids, MPS and bioprinting). Before coming to GSK I spent 11 years at Janssen BioTherapeutics in early biotherapeutic drug discovery in target discovery, drug validation and MOA studies applying complex cell-based assays across multiple therapeutic areas. My current focus at GSK is to improve predictive validity of early preclinical models leading to better characterized molecules, decreased R&D cycle time and a reduction in attrition. Dr. Mattes is the Director of the Division of Systems Biology, part of the FDA’s National Center for Toxicological Research. He has been an independent consultant as well as Director of Toxicology at the Critical Path Institute where he developed and directed the Predictive Safety Testing Consortium (PSTC), a collaboration of the world’s major pharmaceutical companies, with FDA and EMEA advisors. This work resulted in the establishment of a formal process of FDA/EMA biomarker qualification. Dr. Mattes also developed the COPD Biomarkers Qualification Consortium. Dr. Mattes other positions included senior scientific director of Toxicogenomics at Gene Logic, Associate Director of Toxicogenomics and Group Leader of Genetic Toxicology at Pharmacia Corp, Kalamazoo, MI, Group Leader of Experimental Toxicology and Metabolism at Ciba Pharmaceuticals, Summit, NJ, and Group Leader of Molecular and Cellular Toxicology, Ciba-Geigy Agricultural Chemical Division, Farmington, CT.
Michael Raghunath is a physician scientist heading the Center for Cell Biology & Tissue Engineering at the Zurich University of Applied Sciences. From 2003-2016 he was a tenured Associate Professor at the National University of Singapore (Biomedical Engineering/Biochemistry/A*STAR Institute for Medical Biology). As council member of TERMIS-EU, he is experienced in fundamental, clinical and industrial research with accomplishments in the fields of in matrix biology (pathobiochemistry of collagens and elastic microfibrils) and skin biology (wound repair, cornification disorders). He has pioneered the systematic use of macromolecular crowding as novel technology in tissue engineering to build cell-specific and lineage-directing microenvironments. Nathalie Bonvallot and Denis Zmirou-Navier. changes in the consumption patterns in France. He is now responsible for sales and in vitro application systems at Poietis since 2018. Anne Rios obtained her PhD in 2011. Her work represented a novel cell signalling mechanism that triggers the differentiation of a defined subset of cells within a stem pool (Nature, 2011). She, then joined the laboratory of Professors Visvader focusing on Breast Cancer. In 2016, she received the Medical Innovation Award (Centenary Institute Lawrence Creative Prize Winner) for her postdoctoral’s work (Nature, 2014). In 2017, she was appointed group leader at the Princess Máxima Center and head the Princess Máxima Imaging Centre. She is currently investigating the cellular mechanisms underlying pediactric and adult solid tumor progression using State-of-the-art imaging technologies. Asli Akidil is a cell and molecular scientist within the Microphysiological Systems Centre of Excellence (MPS CoE), which is part of the Drug Safety and Metabolism(DSM) department at AstraZeneca. The MPS CoE team aims to implement both healthy and diseased-based organ-on-a-chip models for preclinical drug safety assessments and provide a platform on which early innovative drug delivery systems can be further tested. She is currently focusing on the implementation of the liver-on-a-chip platform and on the development of biomarker detection methods by employing automated confocal imaging and analysis processes. After graduating from Hacettepe University with a BSc in Chemistry, Asli went on to complete her MSc in Advanced Material Sciences at the University of Ulm, specialising in Biomaterials. She wrote her master’s thesis at the world-renowned Max Planck Institute for Intelligent Systems in Stuttgart, where she focused on designing in vivo like 3D platforms for both cancer and healthy cell lines. Upon completing of her thesis, Asli joined the Molecular Genetics for Myeloid Leukaemia clinical research group at the University Hospital of Ulm. Here, she was part of a study that performed mutation analysis in genes that are known to be involved in hematopoietic differentiation and proliferation, which result in acute myeloid leukaemia. She then spent three years as a researcher based in the Welcome Trust Sanger Institute and worked on collaborative projects, funded by the Medicines for Malaria Venture and Bill & Melinda Gates Foundation. The research project was to identify new anti-malarial compounds as well as define the alternations in human malaria parasites genomes that causes resistance to current drugs and treatments. To achieve this, she worked on the development of new molecular genetic approaches with CRISPR/Cas9 technology. Patrick Kugelmeier studied medicine and did his medical thesis in islet transplantation for the treatment of Diabetes. The joy of research led to an MD-PhD program for the early differentiation of stem cells. Cell culture technologies at that time didn't allow for good data reproducibility, because stem cells were cultured in 2D. Fueled by the clinical need of small, size-controlled cell clusters to improve islet transplantation and the insights from the sensitivity of stem cells, he began to develop what was later to become the Sphericalplate 5D. After the MD-PhD program, he did his clinical training in visceral and transplant surgery followed by trauma surgery. Besides the clinical work, the Sphericalplate 5D was further developed. Finally, it became clear that this technology opens a new dimension in cell transplantation and regenerative medicine and Dr. Kugelmeier decided to quit surgery to fully live this vision within a startup-company, the Kugelmeiers AG. After completing a Ph.D. in reproductive toxicology I post-doc’ed at Hoffmann La Roche U.S.A, studying the pharmacology of retinoid biology. I returned to the U.K. into Lead Generation at Glaxo Wellcome, developing cell-based assays and working with vendors to validate new technologies for screening. In 2000 I joined Hit Identification at AstraZeneca, developing assays for respiratory and inflammatory disease and continuing to work with vendors. In 2011 I became a founding entrepreneur of Aurelia Bioscience, a pre-clinical contract research organisation specialising in the development of cell-based assays for compound and biologics screening. Our unique selling point is the development of more physiological phenotypic assays. Krzysztof Wrzesinski is CSO and co-founder of CelVivo IVS, a company dedicated to 3D-cell culture technology. He received his PhD in 2005 (University of Southern Denmark-SDU). As postdoctoral fellow (at the Danish Biotechnology Instrument Centre-DABIC) he developed Laser-Micromanipulation-System able to operate on live tissues (collaboration with Olympus-Denmark A/S) From 2009 he worked in DrugMode ApS and became General Manager in 2010. In 2011 he became Associate Professor at SDU and co-founded ‘Tissue-Culture-Engineering-Laboratory’ research group. He is focusing on physiological characterization of 3D-tissue like structures and establishing in-vitro systems for pre-clinical development of drugs and toxicological assessment of chemicals. What components need to be considered when developing human relevant and predictive 3D models? How do we characterize, scale and automate 3D models in preclinical drug discovery? Héloïse Ragelle is a postdoctoral researcher at Roche Innovation Center Basel developing organ-on-a-chip systems for ophthalmic drug development. She has a PhD in pharmaceutical and biomedical sciences from UCLouvain where she developed nanoparticles for nucleic acid therapy. In addition, she obtained postdoctoral training at MIT where she worked on stem cell matrices and 3D-printed biomaterials. Prof. Andrew Mearns Spragg is a scientific entrepreneur and marine biotechnology pioneer with a successful track record of growing venture backed technology businesses. For the past 18 years, his career has focused on the creation of companies involved with the commercial exploitation of marine biotechnologies. Andrew has successfully raised to date over £16M in equity finance from VCs and Angels and has secured competitive grant funding from EU and UK sources worth >£3M. He was the recipient of the 2007 Gannochy Award and Medal from the Royal Society of Edinburgh, Scotland’s highest award for Innovation and his entrepreneurial achievements were recognised through winning the Ernst & Young Entrepreneur of the year 2008 in Health Care for Scotland. Andrew holds Honorary Professorships from the University of Stirling (2012-2016) and University of the Highlands and Islands. He is a Fellow of the Royal Society of Chemistry and the Royal Society of Biology and is an Emeritus Member of the Royal Society of Edinburgh’s Young Academy of Scotland. Andrew founded Jellagen in 2013, and established the first manufacturing plant of Jellyfish Collagen as well as building in-house collagen standards and first data sets. He is a member of the Board and Executive Committee, responsible for Scientific and Technology strategy, Product Development and Business Development activities. Robert received his PhD in Biochemistry form the Leiden University Medical Center on the study of Oncogenic cell transformation. He subsequently moved to Stanford University (USA) to do his Post Doc studying neural stem cells. Upon his return to the Netherlands he continued the study of stem cells in the group of Prof Hans Clevers at the Hubrecht Institute in The Netherlands. In the group of Hans Clevers he was part of the team that developed the breakthrough technology that allowed the expansion of adult stem cells. The so called Organoid Technology became the basis of the non-profit company ‘Hubrecht Organoid Technology’ (HUB) of which he is currently the managing director. I took my undergraduate and postgraduate training as a molecular biologist in Greece, the University of Washington (Seattle, WA, USA), and the University of Cambridge (UK). In 2008 I joined the CRUK London Research Institute and Julian Downward’s lab as a PhD candidate, where I investigated potential synthetic lethal interactions with loss of the tumour suppressor gene PTEN. Following the completion of my PhD training I joined the ICR and Nicola Valeri’s team, where I established and characterized a large biobank of organoids from patients with various metastatic gastrointestinal cancers. I am senior scientist in discovery biology and pharmacology department in Novo Nordisk, Oxford working on developing stem cell derived hepatocyte platform to do complex disease modeling and screening. Currently I am optimizing 2D and 3D protocols for different stem cell derived tissues to study organ crosstalk during metabolic disease. Prior to this I was working at Astra Zeneca, Gothenburg, developing the inducible CRISPR-Cas9 system to do gene modification in vivo and in vitro. I received Ph.D in Biochemistry from University of Freiburg, Germany on the study of ribosome associated chaperone and its role in translation. upon completion of Ph.D. I moved to Karolinska institute, Sweden for my Postdoc studying the activity of ATM kinase in stopping the cell cycle after double strand break using live cell reporters. 3D culture system is emerging, not only as new tool in early drug discovery but also as potential therapeutics to treat disease. 3D system mimics the complex in vivo cellular heterogeneity. 3D organoid model comprised of multiple cell types provide an attractive approach to investigate key intra- and intercellular signalling pathways. View details Competence Centre TEDD Sponsors and Exhibitors http://www.zhaw.ch/icbt/tedd Competence Centre TEDD - The first centre of its kind. The continually rising numbers of compound failures leading to early withdrawals and the increasing cost of drug development are fuelling the demand for biologically more complex cell models. Here, physiological relevance is key for improving the predictive power of cell-based assays. 3D cell culture technology, organ-like tissue models and associated analytical tools are essential for basic and pharmaceutical research as well as for the evaluation of chemicals and cosmetics. The TEDD Competence Centre is a collaborative innovation platform, dedicated to 3D cell culture technology and organ-like tissue models for drug development, substance testing, personalized and regenerative medicine. Thus, TEDD also promotes the 3R of animal welfare with a particular emphasis on the third R, replace. As an information and matchmaking hub, TEDD transfers knowledge and technologies in order to promote the development and application of 3D cell culture. The TEDD community is currently composed of partners from academia, clinical medicine and industry. The industrial partners represent the majority of TEDD partners and comprise a spectrum from young spin-off company to world player. Thus, TEDD represents the entire value chain of biotech R&D relevant for 3D tissue engineering, be it ultra flat 3D monolayer culture, bioprinted tissue constructs, or organoids. View details InoCure Sponsors and Exhibitors http://www.inocure.cz InoCure s.r.o. is a SME focused on development of advanced nanomaterials for life science use. We are developing drug delivery and scaffolding systems based on nano/microparticles (µSphere technology) and nanofibrous systems (InoMATRIX technology). InoCure helps its partners design next generation of drug delivery systems and introduce those into mass production. All our systems support a wide variety of applications, including organ-on-a chip assays, 3D biology, spheroid assays, stem cell imaging, cell viability, proliferation and morphology, neurite outgrowth, cardiomyocytes and much more. From routine assays to high-content screens to investigate compound effects on physiological models, we can help you to address your specific research questions. In addition to an extensive range of assays, we can also address just about any combination of throughput, content, and budget needs. View details Promega Sponsors and Exhibitors https://www.promega.co.uk Promega is a global leader in providing innovative solutions and technical support to life scientists asking fundamental questions about biological processes and applying scientific knowledge to discover new therapeutics, diagnose and treat diseases and use genetics for human identification. Promega offers a portfolio of cell-based assays for phenotypic analysis of 3D cell cultures. View details Biocompare Official Media Partner http://www.biocompare.com Biocompare.com is the leading resource for up-to-date product information, product reviews, and new technologies for life scientists. Biocompare combines an in-depth knowledge of life science products and new technologies with the power of the Internet to offer scientists the most dynamic, relevant, and innovative media-based marketplace for life science information. View details Drug Discovery Today Official Media Partner http://www.drugdiscoverytoday.com/ Drug Discovery Today covers the whole of the preclinical drug discovery process. The reviews are cutting edge, written by experts in their respective fields and cover all aspects of drug discovery from genomic and proteomic approaches, computational drug design, medicinal chemistry and the translation of these sciences to therapies. View details Drug Target Review Official Media Partner http://www.drugtargetreview.com Drug Target Review’s quarterly magazine, website and annual events program provides high quality content with peer-written articles that are submitted exclusively by the world’s most respected scientists in their field. This attracts a committed base of readers, users and delegates made up of senior decision-makers from the life science and drug discovery industries at the top pharmaceutical companies, as well as academics and scientists from the top research institutes across the globe. View details Labiotech.eu Official Media Partner https://goo.gl/DRE2Gp Labiotech.eu is the leading digital media covering the European Biotech industry. Over 100,000 monthly visitors use it to keep an eye on the business and innovations in biotechnology. Hope you'll enjoy reading our stories! View details BioChem Adda Supporters https://www.biochemadda.com/ BioChem Adda is a Not-just-for-Profit organization which aims to bring out the most reliable and transparent information about everything related to jobs, careers, education, news, articles, and events from the field of BioSciences and Chemistry! View details CanBiotech Supporters http://www.canbiotech.com CanBiotech - A Portal and B2B Outsourcing Marketplace for the Biotech and Pharmaceutical Industry. The Marketplace features the Outsourcing Services Showcase; the Portal features our biopharmaceutical and venture capital directories and databases. Publications include the BioMedical Outsourcing Report and the Bio Outsourcing Asia© Publication. View details Drug Development Technology Supporters http://www.drugdevelopment-technology.com Drugdevelopment-technology.com covers every aspect of the drug development and research process, from conception to pre-FDA approval. Our global network of journalists updates the site with the latest and most significant industry developments. This coverage allows us to provide everyone - from senior management through to research and QA staff – with in-depth reviews of the latest projects, advance notice of new product releases and analysis of the latest procedural and legislative developments. 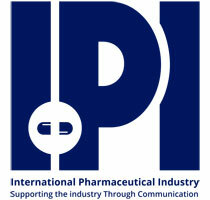 View details IPI Supporters http://www.ipimediaworld.com IPI – International Pharmaceutical Industry Established by professionals with over 30 years experience in the Pharmaceutical and Life sciences publishing sectors. We have identified the needs of these dynamic industries, and have listened carefully to our readers and advertisers. With strong collaboration between Pharmaceutical and Life sciences Industry Associations we have created a global distribution network. We give you a promise to become a reliable extension of your marketing and communication arm. If necessary we will integrate our expertise with your needs. Incorporating new and innovative communication methods we will help to highlight your expertise. View details SciDoc Publishers Supporters http://www.scidoc.org SciDoc Publishers is a major source provider of e-journals in the field of Science, Technology and Medicine (STM). The nature of journals - Open Access and Peer-reviewed. We are aimed with a sole motive in making a mark in the field of Open Access, by propagating the knowledge to the scientific community. Our prime concern involves, the knowledge to reach millions of readers and give them access to scientific publications - online. Competence Centre TEDD - The first centre of its kind. The continually rising numbers of compound failures leading to early withdrawals and the increasing cost of drug development are fuelling the demand for biologically more complex cell models. Here, physiological relevance is key for improving the predictive power of cell-based assays. 3D cell culture technology, organ-like tissue models and associated analytical tools are essential for basic and pharmaceutical research as well as for the evaluation of chemicals and cosmetics. The TEDD Competence Centre is a collaborative innovation platform, dedicated to 3D cell culture technology and organ-like tissue models for drug development, substance testing, personalized and regenerative medicine. Thus, TEDD also promotes the 3R of animal welfare with a particular emphasis on the third R, replace. As an information and matchmaking hub, TEDD transfers knowledge and technologies in order to promote the development and application of 3D cell culture. The TEDD community is currently composed of partners from academia, clinical medicine and industry. The industrial partners represent the majority of TEDD partners and comprise a spectrum from young spin-off company to world player. Thus, TEDD represents the entire value chain of biotech R&D relevant for 3D tissue engineering, be it ultra flat 3D monolayer culture, bioprinted tissue constructs, or organoids. InoCure s.r.o. is a SME focused on development of advanced nanomaterials for life science use. We are developing drug delivery and scaffolding systems based on nano/microparticles (µSphere technology) and nanofibrous systems (InoMATRIX technology). InoCure helps its partners design next generation of drug delivery systems and introduce those into mass production. Promega is a global leader in providing innovative solutions and technical support to life scientists asking fundamental questions about biological processes and applying scientific knowledge to discover new therapeutics, diagnose and treat diseases and use genetics for human identification. Promega offers a portfolio of cell-based assays for phenotypic analysis of 3D cell cultures. Labiotech.eu is the leading digital media covering the European Biotech industry. Over 100,000 monthly visitors use it to keep an eye on the business and innovations in biotechnology. Hope you'll enjoy reading our stories! Drug Target Review’s quarterly magazine, website and annual events program provides high quality content with peer-written articles that are submitted exclusively by the world’s most respected scientists in their field. This attracts a committed base of readers, users and delegates made up of senior decision-makers from the life science and drug discovery industries at the top pharmaceutical companies, as well as academics and scientists from the top research institutes across the globe. Drug Discovery Today covers the whole of the preclinical drug discovery process. The reviews are cutting edge, written by experts in their respective fields and cover all aspects of drug discovery from genomic and proteomic approaches, computational drug design, medicinal chemistry and the translation of these sciences to therapies. Drugdevelopment-technology.com covers every aspect of the drug development and research process, from conception to pre-FDA approval. Our global network of journalists updates the site with the latest and most significant industry developments. This coverage allows us to provide everyone - from senior management through to research and QA staff – with in-depth reviews of the latest projects, advance notice of new product releases and analysis of the latest procedural and legislative developments. CanBiotech - A Portal and B2B Outsourcing Marketplace for the Biotech and Pharmaceutical Industry. The Marketplace features the Outsourcing Services Showcase; the Portal features our biopharmaceutical and venture capital directories and databases. Publications include the BioMedical Outsourcing Report and the Bio Outsourcing Asia© Publication. BioChem Adda is a Not-just-for-Profit organization which aims to bring out the most reliable and transparent information about everything related to jobs, careers, education, news, articles, and events from the field of BioSciences and Chemistry! IPI – International Pharmaceutical Industry Established by professionals with over 30 years experience in the Pharmaceutical and Life sciences publishing sectors. We have identified the needs of these dynamic industries, and have listened carefully to our readers and advertisers. With strong collaboration between Pharmaceutical and Life sciences Industry Associations we have created a global distribution network. We give you a promise to become a reliable extension of your marketing and communication arm. If necessary we will integrate our expertise with your needs. Incorporating new and innovative communication methods we will help to highlight your expertise.